The high school students of the World Community Education Center are proud to release their NEW SONG, “Renewal,” recorded in 2017 at the Music Lab at Jefferson Center! Students worked with their music teacher, Anne Elise Thomas, to write, arrange, perform and professionally record the song. 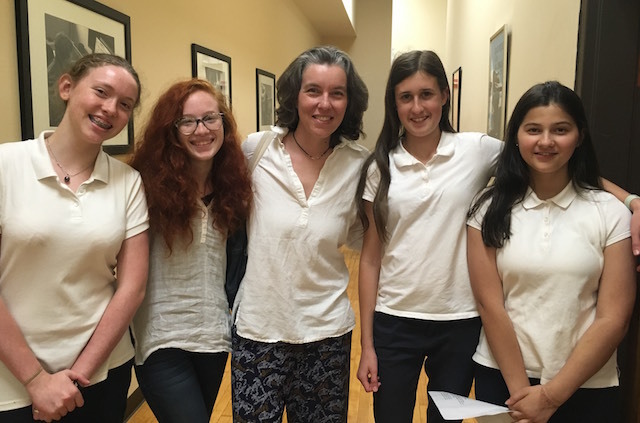 Students met with singer/songwriter Kat Mills of Blacksburg for a session of vocal training before recording in June 2017. WCEC high school students with singer/songwriter Kat Mills at the Music Lab at Jefferson Center.